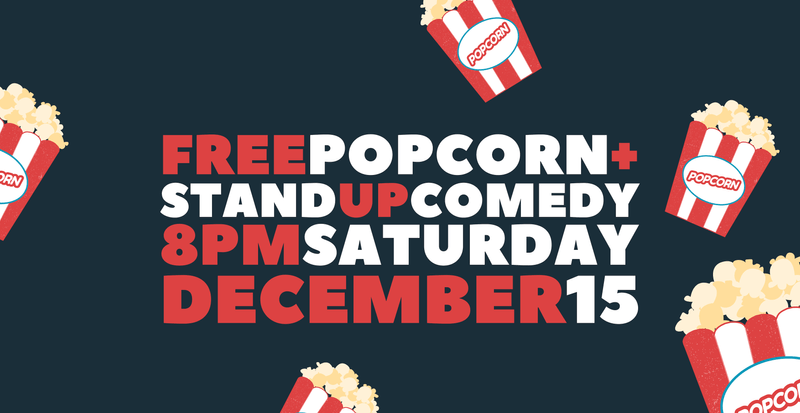 Head down to Cupid bar in the heart of Pt Chevalier to watch five hilarious comedians while you eat free popcorn! This is our last comedy show of the year! It's going to be a fun one! Every comedian's new years resolution is to write new material. So we're forcing them to do just that! 5 comedians will be performing brand new material in the first half of the show, and then the same comedians will perform their best old material in the second half of the show! Don't miss out on this free stand up comedy show that is perfect for date night, a night our by yourself or a night with friends!